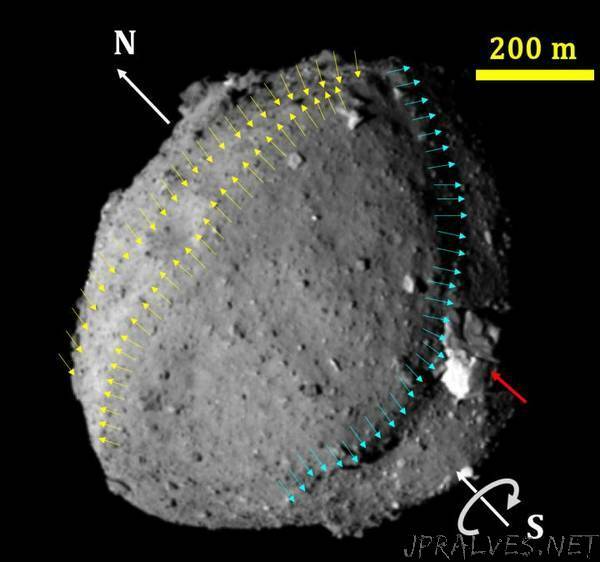 “The first data received from the Hayabusa2 spacecraft in orbit of asteroid Ryugu helps space scientists explore conditions in the early solar system. The space probe gathered vast amounts of images and other data which gives researchers clues about Ryugu’s history, such as how it may have formed from a larger parent body. These details in turn allow researchers to better estimate quantities and types of materials essential for life that were present as Earth formed.